An archive of our podcast and blog items. Adult Sunday School at Trinity Presbyterian Church (OPC) on 03/30/2008 in Novato, CA. In the words of verse 1 from 1 Corinthians 15, I “declare to you the gospel;” this very gospel which has been preached from the apostles, recorded in the Scriptures, and handed down through the centuries. The gospel that was foretold in the Old Testament; the very gospel which declares that Christ died for our sins on the cross, was buried, and then raised from the dead on the third day! And yet as we look at this passage in 1 Corinthians 15, we are reminded that the fact of the resurrection has not always been well received, even in the church. Paul in this letter is confronting an issue in the Corinthian church. Evidently some in the church had been teaching that there is no resurrection of the dead. In other words, people who claimed to be Christians, were saying that there is no resurrection of the dead! And so Paul instantly responds by showing that such a view is not consistent with the Christian faith. Paul hypothetically considers what it would mean for Christians, if Christ had not been raised. His ultimate conclusion comes in verse 19. He concludes by saying that if Christ had not been raised, then we of all people, as Christians, would be most to be pitied. 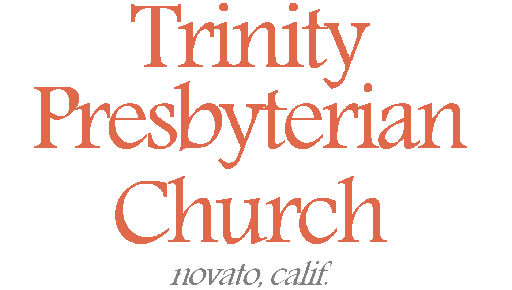 Sermon originally preached during the Morning Service at Trinity Presbyterian Church (OPC) on 03/23/2008 in Novato, CA. Adult Sunday School at Trinity Presbyterian Church (OPC) on 03/23/2008 in Novato, CA.